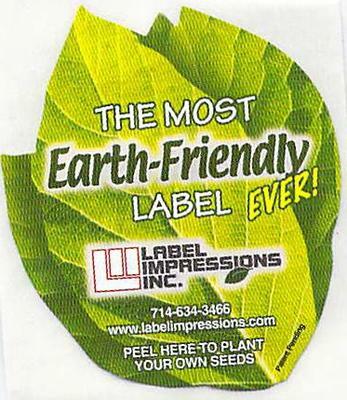 We produce plant-able, biodegradable seed labels that can be peeled off of a product. This could be the perfect way for any consumer products company to help promote this crisis and get consumers engaged. Site owner's comment: That's a really novel idea Jeff. It's great to see the many unusual ways in which people are using their skills and business ideas to help our bees and other pollinators. Be sure to let us know what kinds of seeds are on the label, and on which products we can find them.